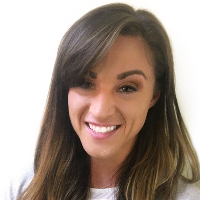 My name is Nicole Lambert and I am a Licensed Mental Health Counselor and a Nationally Certified Counselor who specializes in working with anxiety, depression, athletes and those who live an active lifestyle, or those who want to begin to live a more active one but something seems to be getting in their way, and those struggling with body image issues/self-esteem issues. I work with young adults, middle age adults, and older adults. I also work with a wide range of individuals who wish to improve their mental and emotional health. My therapeutic approach and style is very eclectic. First and foremost, the therapeutic relationship between client and therapist is one of the most important factors in predicting the amount of change and progress that will take place. I take time to develop the relationship with each and every client. I believe that each individual can benefit most from a different approach that is tailored to them and their needs, and I begin from a client-centered approach. I believe in “walking alongside” the client throughout the therapy process. I believe that the client is the expert in their own problems and the therapist is there to guide the client to finding solutions and empower them. I encourage clients to focus on the here and now, and overcoming barriers that hinder them from moving forward. However, I also believe that making connections to the past can be helpful in gaining insight into their current situation. Lastly, I encourage clients to engage in a type of exercise that fits their lifestyle. I strive to help individuals find a balance between their emotional, mental, and physical health. I am here to encourage and empower you to work towards the life that you want. I am extremely passionate about finding a balance between physical, emotional, and mental health. I believe that everyone deserves to be healthy and happy in all realms, and they deserve to feel comfortable in their own skin. I'd love to learn more about you and learn how I can help! My husband and I have three dogs. A German Shepherd, a lab and shepherd mix, and a Doberman. I recently started running with the Doberman (he'll be 2 in October), and let's just say that my pace has definitely quickened! He's very eager to get wherever it is our runs take us. Also, you'd never know, but I'm half Ukrainian. Growing up I was in all sorts of Ukrainian groups activities, including a Ukrainian Dance Ensemble. She is an amazing person who is always willing to help. In the past few months Nicole has also helped my deal with my chronic illness and encouraged me in finding ways to cope and to find fulfillment in my limited life. But most important she has helped me repair my damaged relationship with my mother, who is my caretaker. Thank you so much for always being supportive and encouraging and empathetic. Great listener and always provides helpful feedback. I didn’t really knew what to expect when I signed up for BetterHelp but I am extremely glad I did. From day one Nicole has been nothing short of amazing. I can tell she really reads and analyzes my messages and always come back with a thoughtful and poignant response. She has already been a tremendous help in such a short period of time. I’ve recommend the app to a friend and will continue to do so. Nicole is a very supportive, responsive and intelligent therapist and I enjoy working with her. Nicole is extremely caring and willing to check in on me if I haven't messaged in a few days. Her suggestions were helpful, and she was willing to cater our conversation to my needs. Nicole is very empathetic and supportive. She's quick to respond to my messages. I feel that she has a good understanding of my issues. Nicole is terrific -- super available, cares a ton, and has been nothing but helpful. Nicole is a conscious and caring therapist. Even though I was seeking help on a problem that is tangential to myself, her feedback clarified and validated my suspicions. She went out of her way to research where I could find help in a distant location. I am extremely satisfied with Nicole and this method of counseling. I had previously been deterred from traditional methods of counseling due to a lack of time and the short time constraints in face to face appointments afford. I am able to communicate more effectively and without limitation. Nicole is very prompt and understands my feelings often asking me questions to prompt productive thought processes when my mind is seemingly jumbled and all over the place. I'm extremely grateful to have found a counselor that I have clicked with. Would you like to write a review for Nicole Lambert? We'd appreciate if you can spend a couple of minutes to write a short review for Nicole Lambert (LMHC, NCC). This review would be shared with Nicole Lambert. It may also be posted in our website or in Nicole Lambert's profile but it would be anonymous and your identity would be kept completely confidential.